The blue color matches the external appearance well. If you install awnings, your summer life will be surely better and enjoyable! We made a custom-made parasol for coming event season! You can choose color, fabric, logos, and other detailed designs! If you got interested in more of our works, please feel free to contact us! 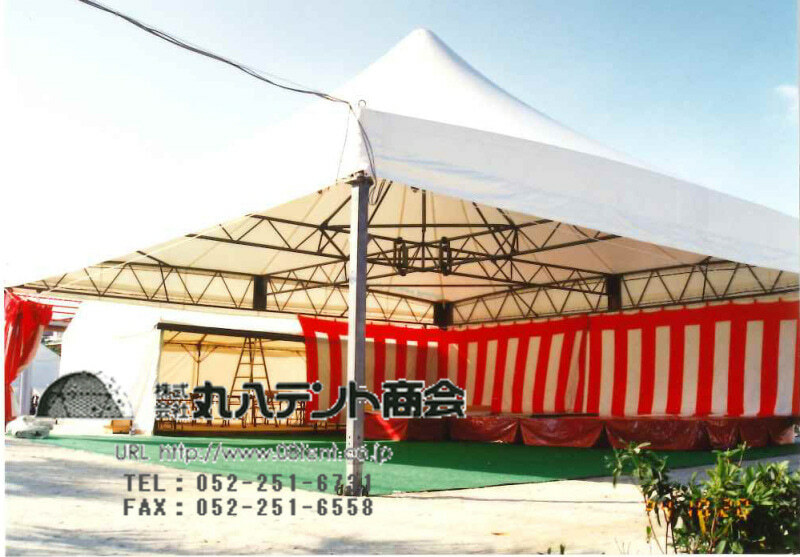 This is big event tent for outside activities. We can install some tents whatever you want. We are always glad to receive special orders from customers, and this is one of the custom-made bags made from tent fabric! For this bag, we put a clear name holder on the bag. Let’s visit our webpage and check more of our custom-made works! Today, we would like to introduce one constraction case in London! It looks very cool and stylish. We can also install tents like this! We made a custom-made cover for a weight for tents. With this cover, you can ease its heavy and cold look.